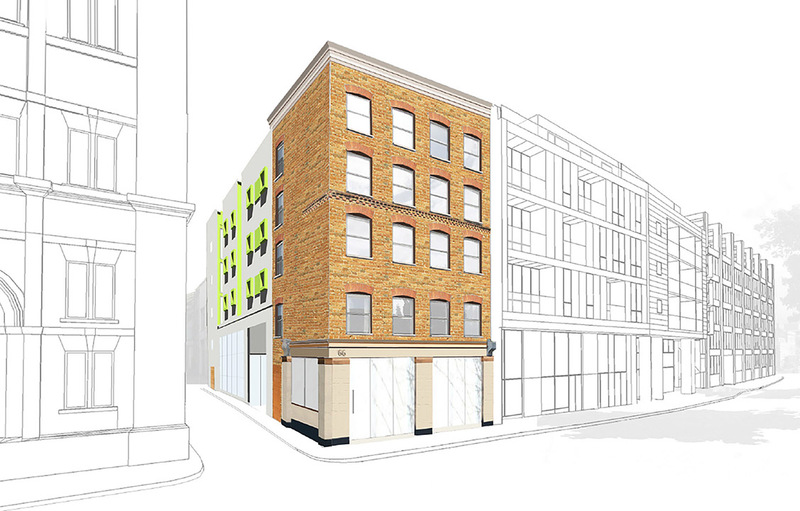 Five floors of a new-build apart-hotel over two floors of commercial space, built behind a retained Victorian façade, with a new basement to the rear. 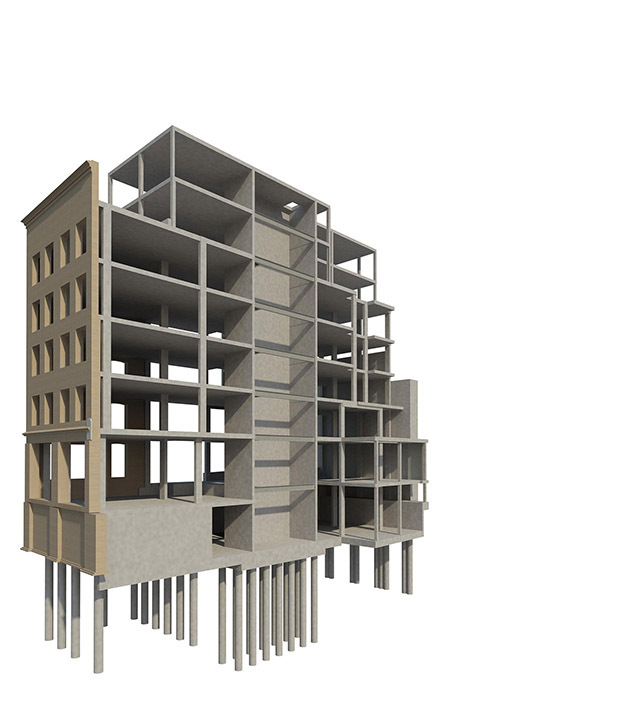 The structure is RC framed, and is being installed floor by floor in two phases without significant temporary façade restraint steelwork, such that sequencing is critical in maintaining temporary stability throughout. 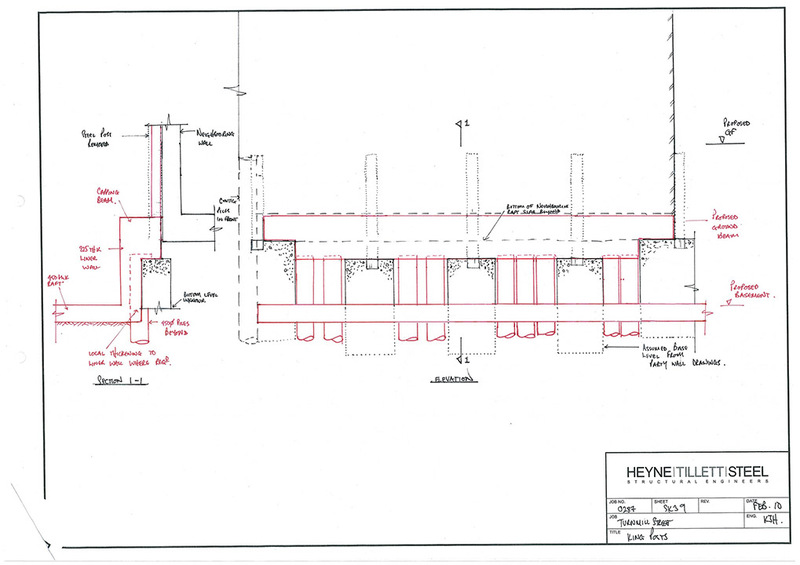 The new basement retaining walls are formed using contiguous piles, which are positioned between temporary pads to an original king-post wall to the neighbouring building on the eastern boundary, with a ground bearing raft slab at basement level.